The author selected Open Sourcing Mental Illness Ltd to receive a donation as part of the Write for DOnations program. 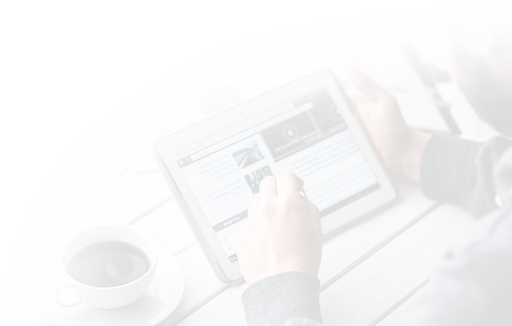 People use different types of devices to connect to the internet and browse the Web. Because of this, applications need to be accessible from a variety of locations. For traditional websites, having a responsive UI is usually enough, but more complex applications often require the use of other techniques and architectures. These include having separate REST back-end and front-end applications that can be implemented as client-side web applications, Progressive Web Apps (PWAs), or native mobile apps. Django, a free and open-source Python web framework that follows the model view controller (MVC) software architectural pattern. Django REST framework, a powerful and flexible toolkit for building REST APIs in Django. The web application you will build stores records about customers in a database, and you can use it as a starting point for a CRM application. When you are finished you’ll be able to create, read, update, and delete records using a React interface styled with Bootstrap 4. In this step, we’ll create a virtual environment and install the required dependencies for our application, including Django, the Django REST framework, and django-cors-headers. Our application will use two different development servers for Django and React. They will run on different ports and will function as two separate domains. Because of this, we need to enable cross-origin resource sharing (CORS) to send HTTP requests from React to Django without being blocked by the browser. Django: The web framework for the project. Django REST framework: A third-party application that builds REST APIs with Django. django-cors-headers: A package that enables CORS. With the project dependencies installed, you can create the Django project and the React frontend. django-admin startproject project-name: django-admin is a command-line utility used to accomplish tasks with Django. The startproject command creates a new Django project. python manage.py startapp myapp: manage.py is a utility script, automatically added to each Django project, that performs a number of administrative tasks: creating new applications, migrating the database, and serving the Django project locally. Its startapp command creates a Django application inside the Django project. In Django, the term application describes a Python package that provides some set of features in a project. Before moving on, let's look at the directory structure of our Django project using the tree command. To use it, cd into the directory you want and type tree or provide the path to the starting point with tree /home/sammy/sammys-project. manage.py: The utility script that does a number of administrative tasks. settings.py: The main configuration file for the Django project where you can modify the project's settings. These settings include variables such as INSTALLED_APPS, a list of strings designating the enabled applications for your project. The Django documentation has more information about available settings. urls.py: This file contains a list of URL patterns and related views. Each pattern maps a connection between a URL and the function that should be called for that URL. For more on URLs and views, please refer to our tutorial on How To Create Django Views. You can find more configuration options in the django-cors-headers docs. Save the file and exit the editor when you are finished. This will contain the models and views for managing customers. Models define the fields and behaviors of our application data, while views enable our application to properly handle web requests and return the required responses. Next, migrate the database and start the local development server. Migrations are Django’s way of propagating the changes you make to your models into your database schema. These changes can include things like adding a field or deleting a model, for example. For more on models and migrations, see How To Create Django Models. At this point, leave the application running and open a new terminal to continue developing the project. 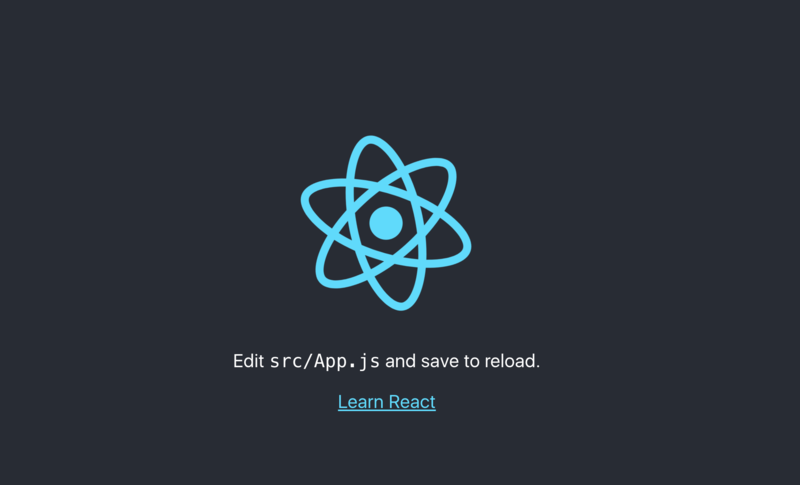 In this section, we're going to create the front-end application of our project using React. Leave the React development server running and open another terminal window to proceed. Here, @import is a CSS instruction that's used to import style rules from other style sheets. Now that we have created both the back-end and front-end applications, let's create the Customer model and some demo data. After creating the Django application and the React frontend, our next step will be to create the Customer model, which represents the database table that will hold information about customers. You don't need any SQL since the Django Object Relational Mapper (ORM) will handle database operations by mapping Python classes and variables to SQL tables and columns. In this way the Django ORM abstracts SQL interactions with the database through a Python interface. The Customer model's API is already imported in the file thanks to the from django.db import models import statement. You will now add the Customer class, which extends models.Model. Each model in Django is a Python class that extends django.db.models.Model. first_name — The first name of the customer. last_name — The last name of the customer. email — The email address of the customer. phone — The phone number of the customer. address — The address of the customer. description — The description of the customer. createdAt — The date when the customer is added. We will also add the __str__() function, which defines how the model will be displayed. In our case, it will be with the customer's first name. For more on constructing classes and defining objects, please see How To Construct Classes and Define Objects in Python 3. Next, migrate the database to create the database tables. The makemigrations command creates the migration files where model changes will be added, and migrate applies the changes in the migrations files to the database. Note that the name of your migration file is 0002_customers.py. The import statement imports the migrations API, a Django API for creating migrations, from django.db, a built-in package that contains classes for working with databases. dependencies: Contains the dependent migrations. operations: Contains the operations that will be executed when we apply the migration. In this method, we are grabbing the Customer class of our customers app and creating a demo customer to insert into the database. To get the Customer class, which will enable the creation of new customers, we use the get_model() method of the apps object. The apps object represents the registry of installed applications and their database models. RunPython() is part of the Migrations API that allows you to run custom Python code in a migration. Our operations list specifies that this method will be executed when we apply the migration. For more details on this process, refer back to How To Create Django Models. With the Customer model and demo data created, we can move on to building the REST API. In this step we'll create the REST API using the Django REST Framework. We'll create several different API views. An API view is a function that handles an API request or call, while an API endpoint is a unique URL that represents a touchpoint with the REST system. For example, when the user sends a GET request to an API endpoint, Django calls the corresponding function or API view to handle the request and return any possible results. We'll also make use of serializers. A serializer in the Django REST Framework allows complex model instances and QuerySets to be converted into JSON format for API consumption. The serializer class can also work in the other direction, providing mechanisms for parsing and deserializing data into Django models and QuerySets. api/customers: This endpoint is used to create customers and returns paginated sets of customers. api/customers/<pk>: This endpoint is used to get, update, and delete single customers by primary key or id. We'll also create URLs in the project's urls.py file for the corresponding endpoints (i.e api/customers and api/customers/<pk>). Let's start by creating the serializer class for our Customer model. The Meta class specifies the model and fields to serialize: pk,first_name, last_name, email, phone, address,description. Now that we've created our serializer class, we can add the API views. In this section, we'll create the API views for our application that will be called by Django when the user visits the endpoint corresponding to the view function. We are importing the serializer we created, along with the Customer model and the Django and Django REST Framework APIs. List  customers, or create a new customer. First we use the @api_view(['GET', 'POST']) decorator to create an API view that can accept GET and POST requests. A decorator is a function that takes another function and dynamically extends it. If it's a GET request, the method paginates the data using Django Paginator, and returns the first page of data after serialization, the count of available customers, the number of available pages, and the links to the previous and next pages. Paginator is a built-in Django class that paginates a list of data into pages and provides methods to access the items for each page. If it's a POST request, the method serializes the received customer data and then calls the save() method of the serializer object. It then returns a Response object, an instance of HttpResponse, with a 201 status code. Each view you create is responsible for returing an HttpResponse object. The save() method saves the serialized data in the database. For more about HttpResponse and views, see this discussion of creating view functions. Retrieve, update or delete a customer by id/pk. The method is decorated with @api_view(['GET', 'PUT', 'DELETE']) to denote that it's an API view that can accept GET, PUT, and DELETE requests. If it's a GET request, customer data is serialized and sent using a Response object. If it's a PUT request, the method creates a serializer for new customer data. Next, it calls the save() method of the created serializer object. Finally, it sends a Response object with the updated customer. If it's a DELETE request, the method calls the delete() method of the customer object to delete it, then returns a Response object with no data. We can now move on to creating our endpoints. We will now create the API endpoints: api/customers/, for querying and creating customers, and api/customers/<pk>, for getting, updating, or deleting single customers by their pk. With our REST endpoints created, let's see how we can consume them. In this step, we'll install Axios, the HTTP client we'll use to make API calls. We'll also create a class to consume the API endpoints we've created. The --save option adds the axios dependency to your application's package.json file. getCustomers(): Gets first page of customers. getCustomersByURL(): Gets customers by URL. This makes it possible to get the next pages of customers by passing links such as /api/customers/?page=2. getCustomer(): Gets a customer by primary key. We can now display the data from our API in our React UI interface by creating a CustomersList component. In this step, we'll create the CustomersList React component. A React component represents a part of the UI; it also lets you split the UI into independent, reusable pieces. Inside the constructor, we are initializing the state object. This holds the state variables of our component using an empty customers array. This array will hold customers and a nextPageURL that will hold the URL of the next page to retrieve from the back-end API. We are also binding the nextPage() and handleDelete() methods to this so they will be accessible from the HTML code. Next, add the componentDidMount() method and a call to getCustomers() within the CustomersList class, before the closing curly brace. The handleDelete() method calls the deleteCustomer() method to delete a customer using its pk (primary key). If the operation is successful, the customers array is filtered out for the removed customer. The nextPage() method calls a getCustomersByURL() method, which takes the next page URL from the state object, this.state.nextPageURL, and updates the customers array with the returned data. Now that we've created the CustomersList component for displaying the list of customers, we can add the component that handles customer creation and updates. In this step, we'll create the CustomerCreateUpdate component, which will handle creating and updating customers. It will do this by providing a form that users can use to either enter data about a new customer or update an existing entry. For each form input element, the method adds a ref property to access and set the value of the form element. The handleSubmit(event) method handles the form submission and, depending on the route, calls either the handleUpdate(pk) method to update the customer with the passed pk, or the handleCreate() method to create a new customer. We will define these methods shortly. The handleCreate() method will be used to create a customer from inputted data. It calls the corresponding CustomersService.createCustomer() method that makes the actual API call to the backend to create a customer. The updateCustomer() method will update a customer by pk using the new information from the customer information form. It calls the customersService.updateCustomer() method. With the CustomerCreateUpdate component created, we can update the main App component to add links to the different components we've created. In this section, we'll update the App component of our application to create links to the components we've created in the previous steps. BrowserRouter keeps the UI in sync with the URL using the HTML5 history API. We use the Route component to define the routes of our application; the component the router should load once a match is found. Each route needs a path to specify the path to be matched and a component to specify the component to load. The exact property tells the router to match the exact path. We have wrapped the BaseLayout component with the BrowserRouter component since our app is meant to run in the browser. With this application in place, you now have the base for a CRM application. 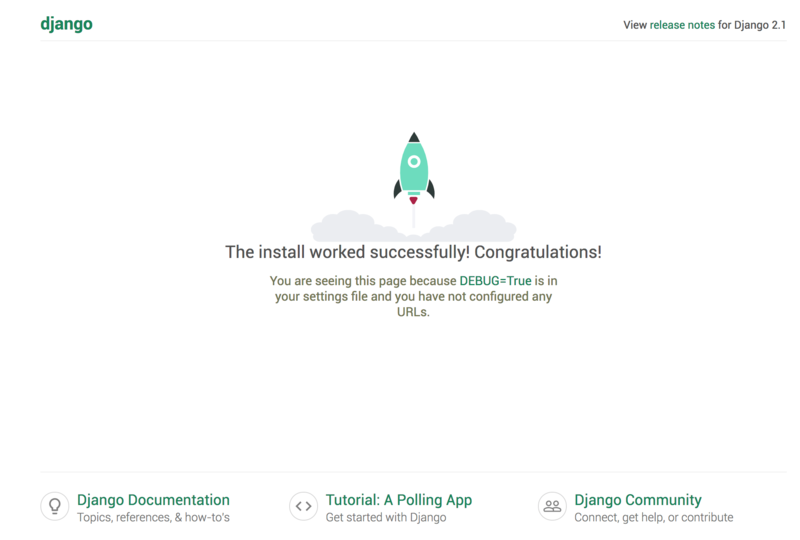 In this tutorial, you created a demo application using Django and React. You used the Django REST framework to build the REST API, Axios to consume the API, and Bootstrap 4 to style your CSS. You can find the source code of this project in this GitHub repository. This tutorial setup used separate front-end and back-end apps. For a different approach to integrating React with Django, check this tutorial and this tutorial. For more information about building an application with Django, you can follow the Django development series. You can also look at the official Django docs.